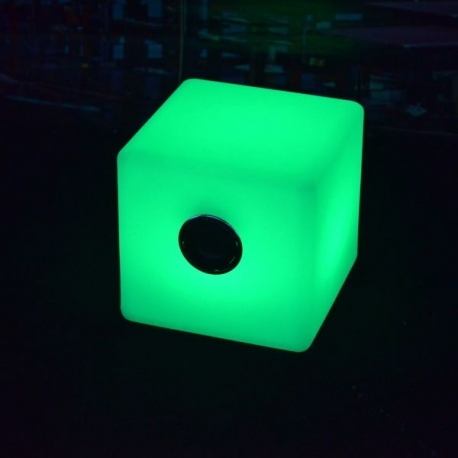 Led Cube made of PE. 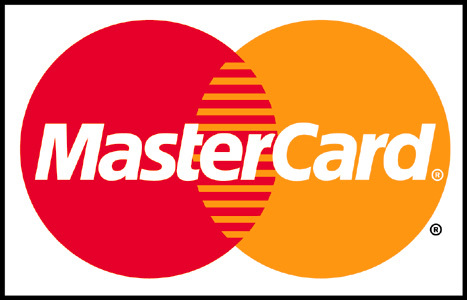 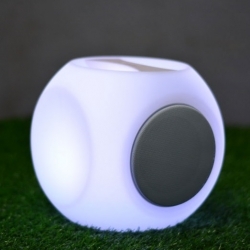 Is charged by a battery, which does not need cable. 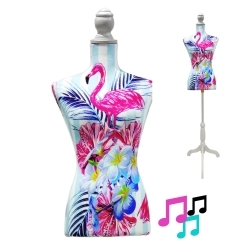 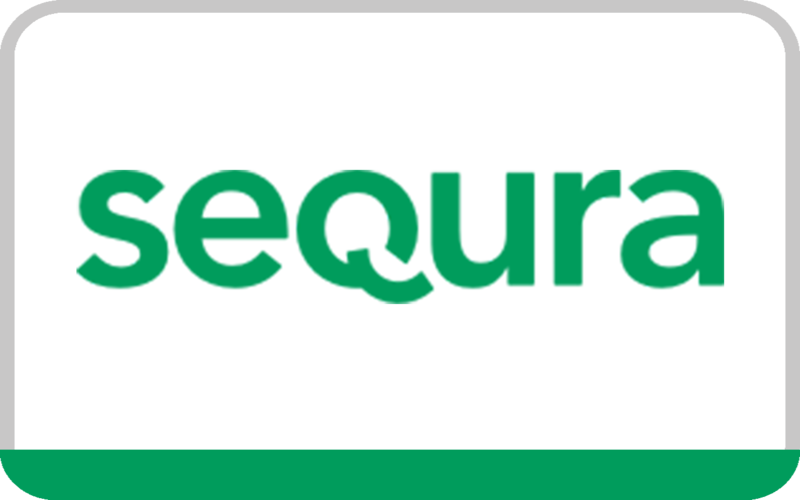 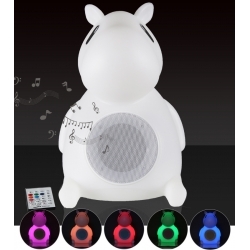 The usage time of the battery is about 20 hours at low intensity, with a loading time of 6 hours. 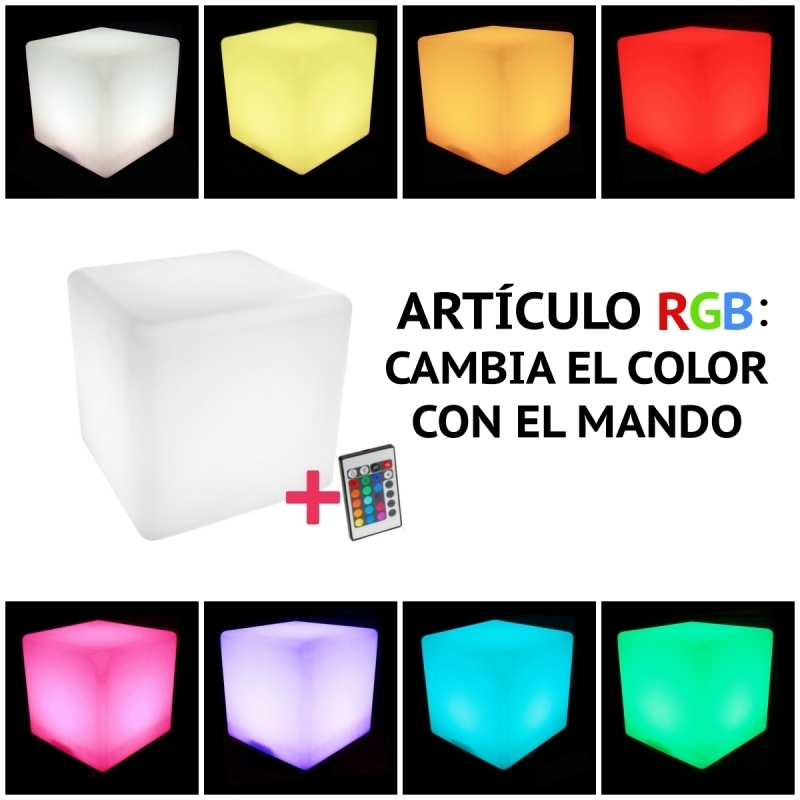 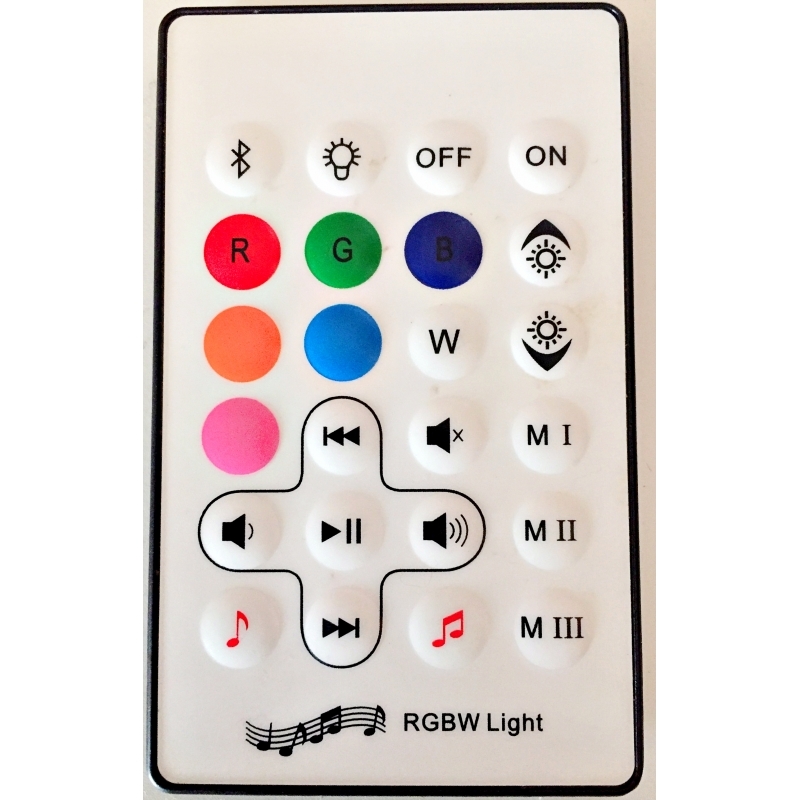 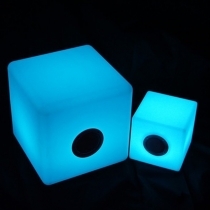 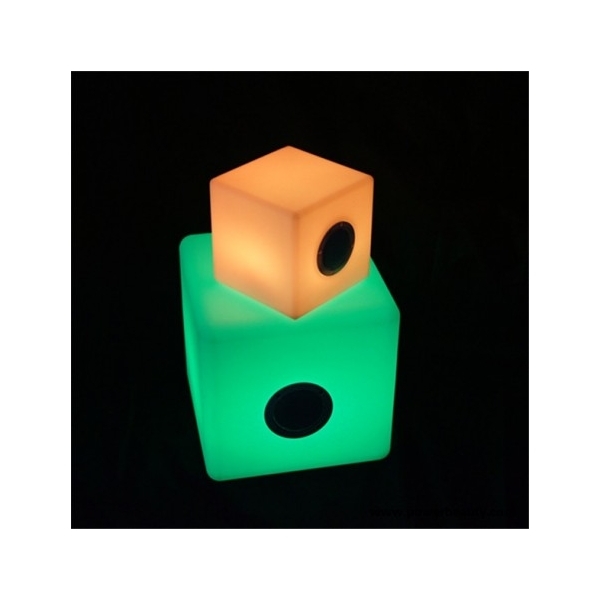 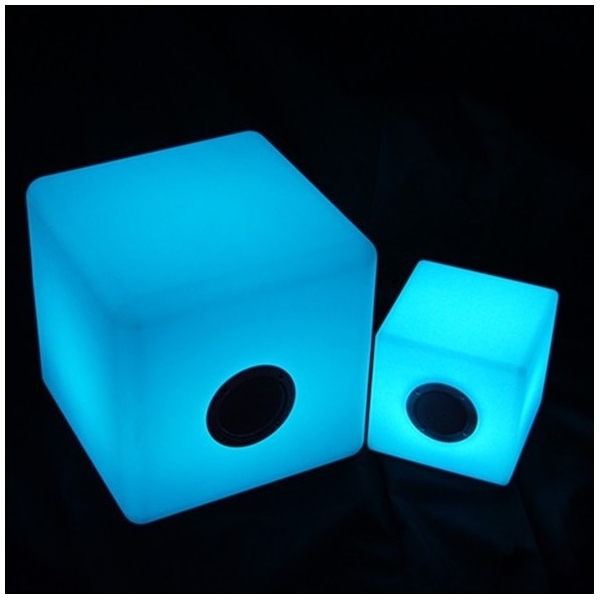 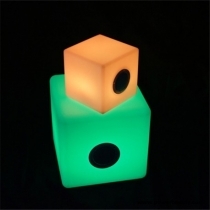 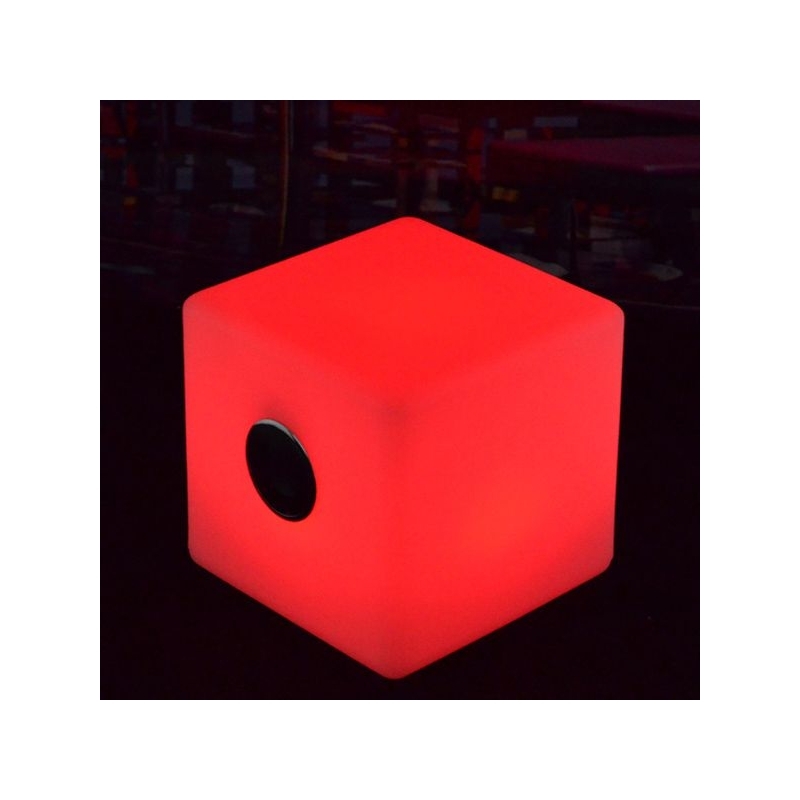 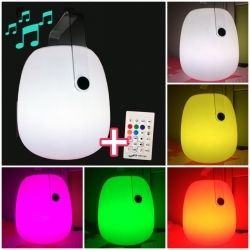 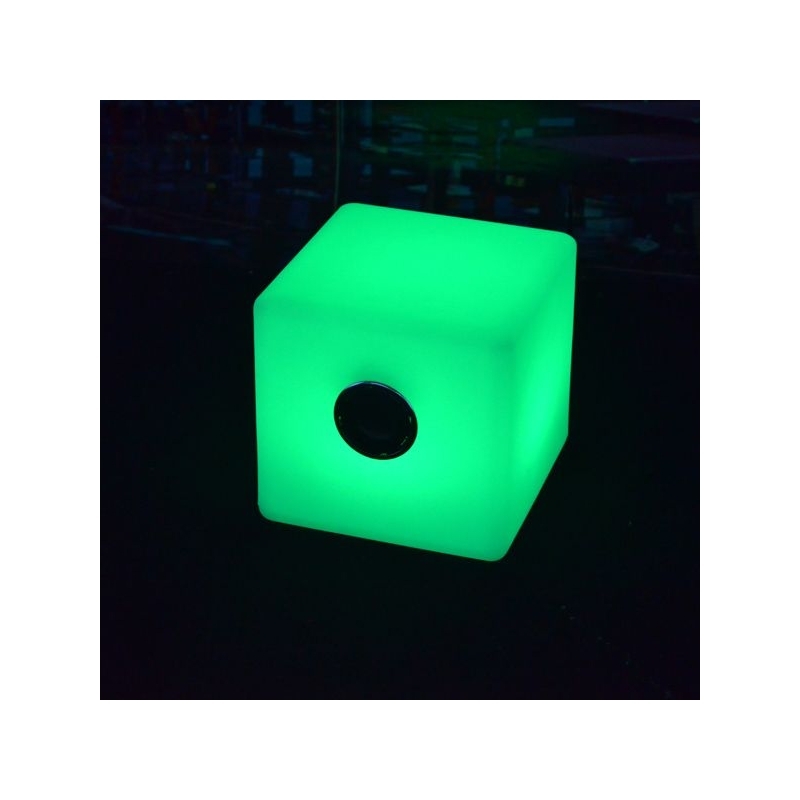 The Led cube has a remote control that lets you select between 16 colors and 3 light intensities.